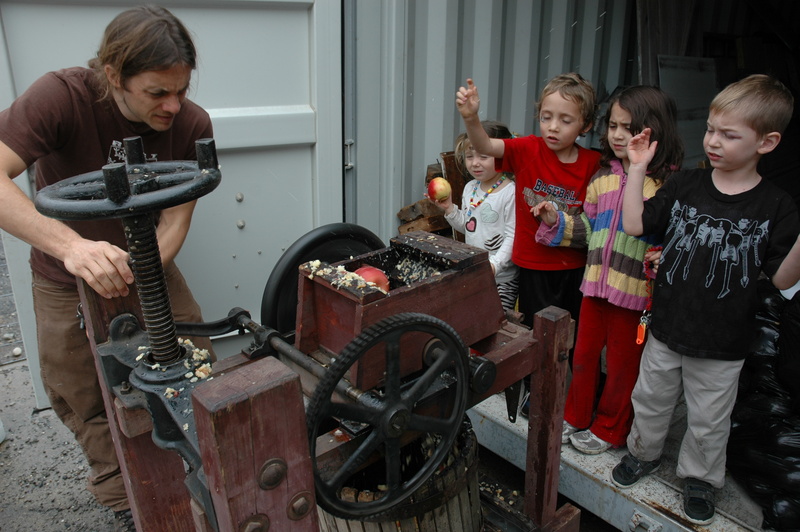 This week we gleaned apples at Samascott Orchard with the upstairs kids from the Albany Free School. 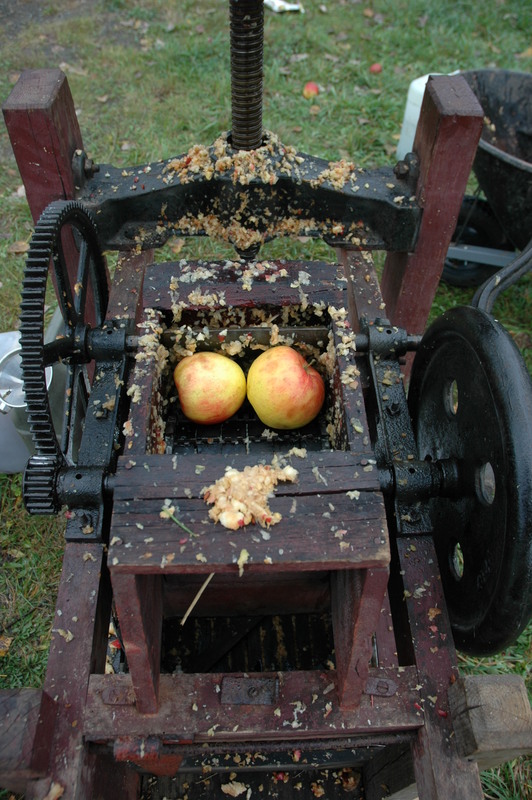 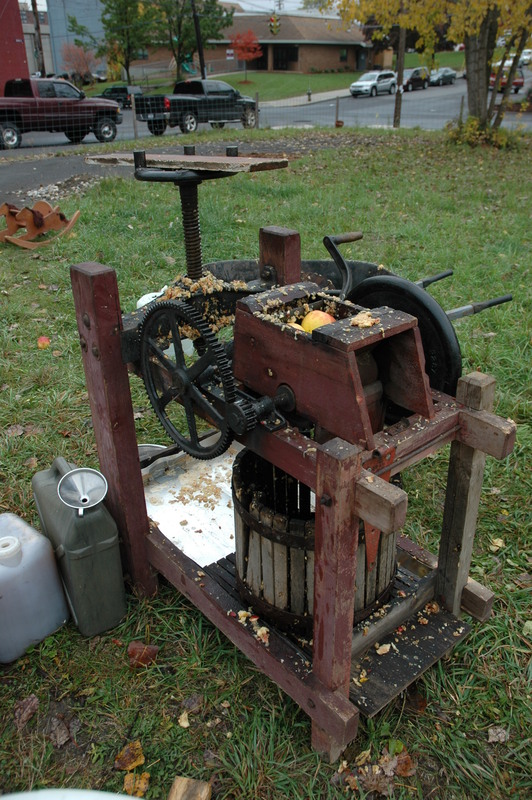 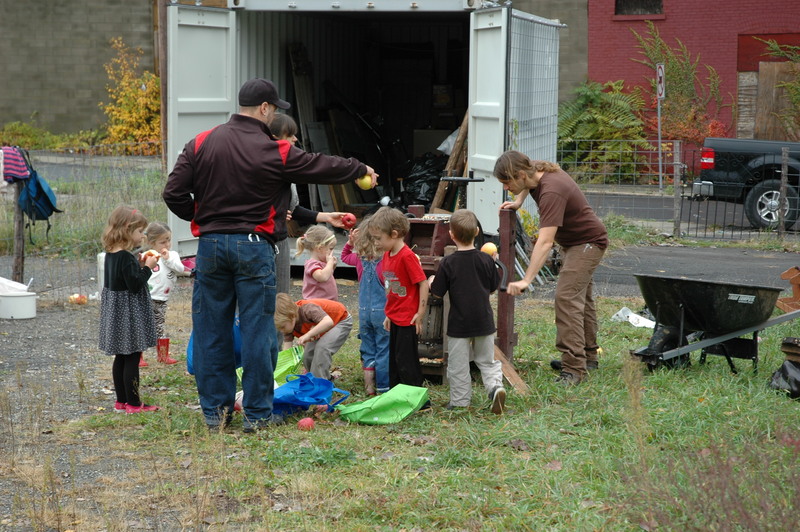 We made cider with some of the apples at the Radix Center with our antique cider press. 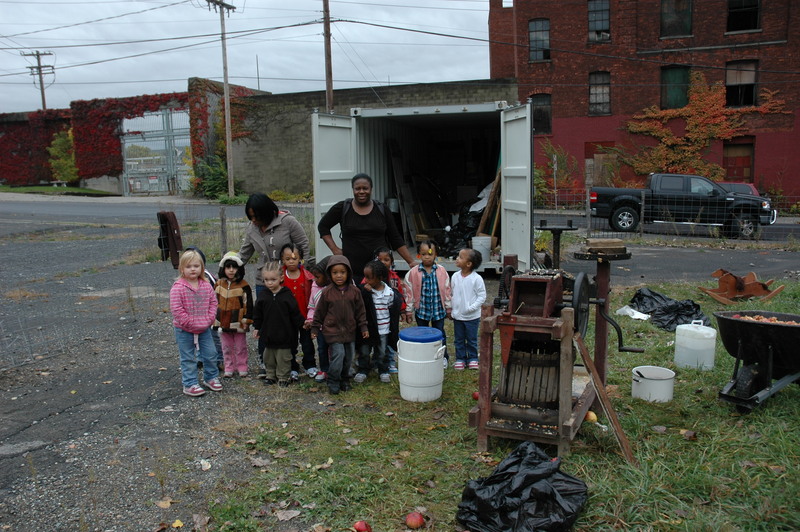 Students from the Headstart Program across the street also stopped by. 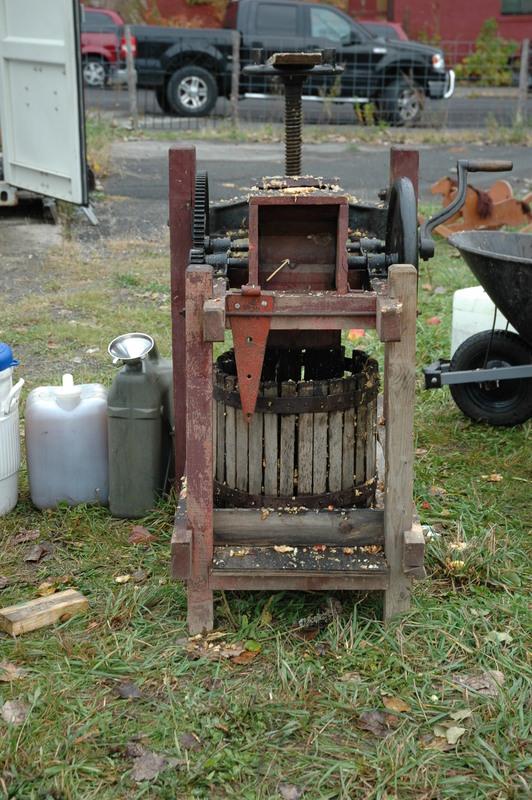 The cider press was an amazing estate sale find. 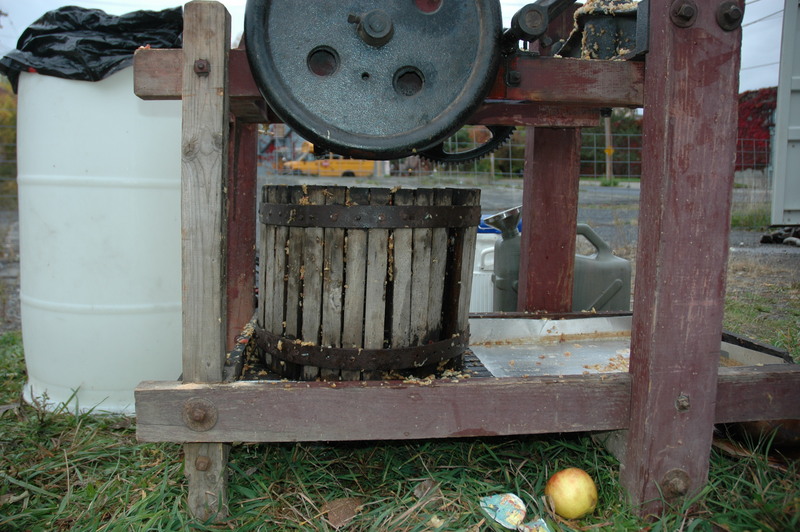 and then the massive screw presses down a wooden disc- and the cider flows out!